A few years ago, one of my children woke up in the middle of the night, wide-eyed and trembling with fright. She didn’t know why she was afraid. She just was. She has always been fearful at night, but this night she was very scared. No matter what I said, she couldn’t comprehend what I was saying. I found myself raising my voice louder trying to reason. Finally, I realized that she didn’t need me to scold her or give her reasons NOT to be afraid. She just needed me to hold her. And that is what I did. She cried and cried. After about five minutes I prayed with her and she let out a deep breath of relief. This time I was there to hold her and help her, but how do I prepare her for the everyday circumstances that are sure to come in the future? How can I help her be brave? Life is hard. Really hard. We all learn that at some point. Some of us sooner than others. As moms, we do everything we can to prevent our children from learning that hard truth, but instead of preventing (like I was doing in trying to get my daughter to just “get over” her fear) maybe we should focus on preparing. God was encouraging Joshua. He was standing beside him, cheering him on. When every circumstance seemed against Joshua, God told him to be strong and courageous! Be strong and very courageous! Be strong and courageous! This may seem simple to you, but I think it can be life changing for our children. In our home we have taught our children a simple phrase. Sometimes we say it quietly, sometimes we shout it, and sometimes we pump our fist in the air as those words roll from our tongues. It is Hebrew. It means Be Strong and Courageous. Hazaq V’ Amatz! Our children NEED those words. And do you know why I know they need those simple words? Because let’s be honest – We do too. I have had to whisper them to myself in the dark moments of despair just to remember that He. Is. There. One thing I want my children to know is that God is fighting for them. He is beside them. He won’t give up on them. As they face trials that will surely come their way, I want them to be brave and strong like the example we see in this Bible story with Joshua. There are so many examples to share with your children of men and women in the Bible who had this courage and strength. 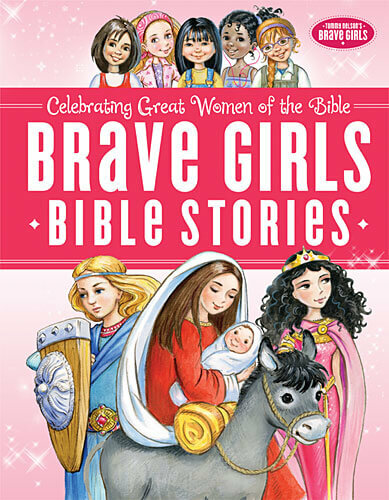 A resource like the Brave Girl’s Bible Stories is a great book for our daughters to read. It is an exciting new brand and storybook to help girls grow into brave, confident daughters of the King. Young girls will grow in their knowledge of the Bible and in their faith by getting to know the Brave Girls—Hope, Gracie, Glory, Faith, and Honor—five modern-day friends. They share their strengths and struggles and how they discover bravery in women in the Bible. 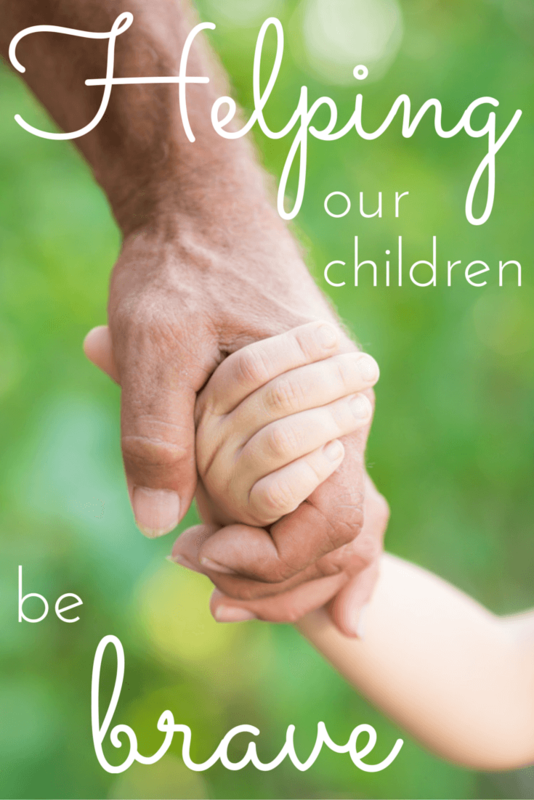 This entry was posted in Blog and tagged Brave, Family, Joshua 1:9, Parenting by Ruth Schwenk. Bookmark the permalink.